M. R. Riazi received a doctorate degree in Chemical Engineering from Pennsylvania State University (Penn State) and is the author of 150 publications including 6 books in the areas of oil, gas, coal and biofuel characterization, production and processing. In addition, he has over 100 conference presentations and about 100 invited lectures and workshops for the petroleum industry in more than 40 countries. He has served as an Assistant Professor at Penn State as well as Visiting Professor / Scholar in the Departments of Chemical and Petroleum Engineering at the following universities: Illinois/Chicago, Texas/Austin, Norwegian University of Science and Technology (Trondheim), McGill (Montreal), Waterloo, and some other universities in US, India and Middle East. He is a professor and former chairman of Chemical Engineering at Kuwait University and is the Editor-in-Chief of IJOGCT. 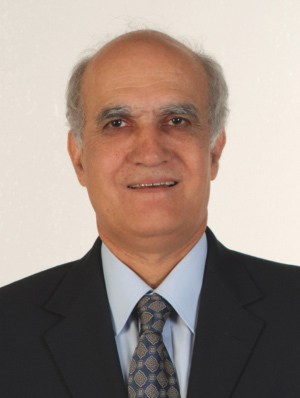 As a result of his work, Dr. Riazi has been honored as the recipient the following awards: Diploma of Honor from United States National Petroleum Engineering Society for the Outstanding Contributions to the Petroleum Industry, KU Outstanding Research and Teaching Awards (received from former Amir of Kuwait) and was an elected Fellow of American Institute of Chemical Engineers. He is a registered and licensed professional engineer in Ontario, Canada.